This week is going to be a little different. Usually I spotlight one blogger, but today we get a two for one deal with Lashaan and Trang from Bookidote! They are the cute little co-blogging couple that bring a lot to the blogging table. Because they have varying reading tastes, we get a wide variety of genres in their reviews and such. It is also fun to see both their personalities in their writing. It makes for a more refreshing reading experience. So if you want to meet this awesome couple, then head on over to their blog RIGHT NOW! This week I want to spotlight a very relatable discussion post from Jess @ Princessicaofbooks. What Makes Me Read a Book? In this discussion she lists 7 different factors that effect her decision to read a book. For example she lists the cover, the hype, and the synopsis as factors. After reading her post I can say that I do every single one of them. Covers are definitely a book factor for me. I HATE cover models, especially if you can see their face. I think it looks awkward and at times horrendous to look at. The hype is also a major factor. But not in the way you might think… Hype actually turns me off of some books, or at least makes me push them back quite a bit. (ie. An Ember in the Ashes is still sitting on my shelf unread) And lastly the synopsis will make or a break a book for me. The cover draws me in, but the synopsis is what makes me want to read the book. So definitely go check out her post and see what else she listed! I’m doing some re-reads this month, as you may already know if you read my November TBR post. 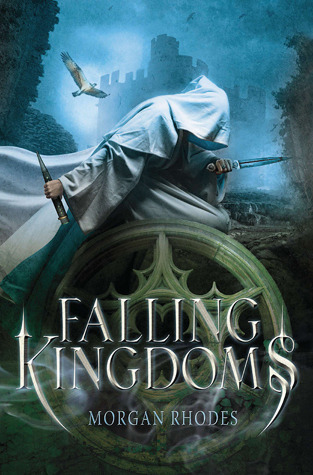 So this week I am starting from the very beginning of my favorite series Falling Kingdoms! All of this is in preparation for the 4th book Frozen Tides coming out in December. I’m so excited I can’t control it. Guys, my life is so boring and mundane that I really don’t have anything to share with you this week. All I did this week was work, read, and watch TV. Have you fallen asleep yet? Hopefully next week I will pick myself up and do something fun. I do have a date tonight though. So if all goes well then maybe you will hear about it next Saturday! I am bring you guys another fun and addictive game that you are sure going to love to hate. Every once and a while I go on the hunt for a new game that will take up all my free time because sometimes life can get too mundane and typical. And games are a good way to distract myself and put a little spice in my rather boring life. Cannon Land is all about simple but very addictive one touch gameplay that rewards focus and timing, all with super cute art. – How far can you make it? Focus and FIRE with simple one touch controls! Inspired by Nintendo’s classic Donkey Kong country barrels mini game. Why are the pets being shot out of cannons? Because they want to go as far as possible without getting wet in a land invaded by water. This is the only game where you get to do that, it won’t change the world but it might help make it more fun for some for a few moments. So go out and download this game if your an Android user. I’m not sure if it can be found in the Apple Store. As many of you guys know, I am a big fan of bands/groups of singers. 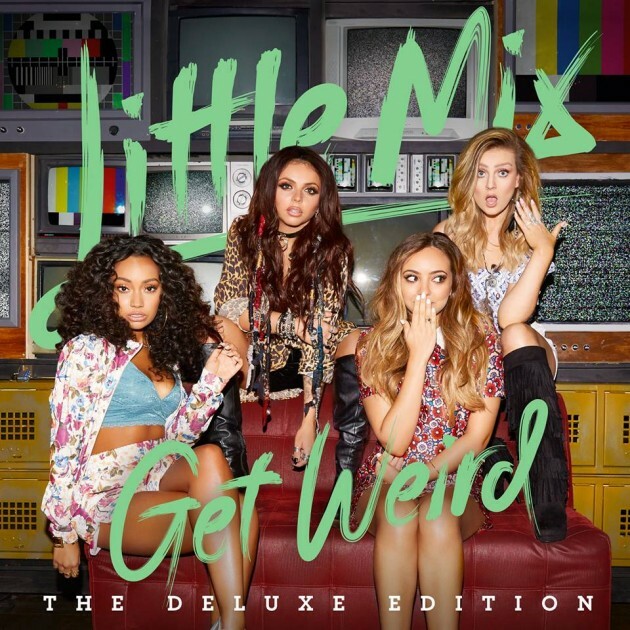 So it comes as no surprise that this week I want to spotlight Little Mix as they just released their 3rd album, Get Weird. This album holds many great songs for everyone to enjoy and as much as I want to spotlight them all, I only chose two that stood out to me the most. This is a great rhythmic pop track with mysterious and eerie sounds with fun lyrics and great vocals. It tells a story about falling in love again with someone and how it feels like getting struck by lightning to the heart. This song would have to be my favorite off the album. Its a nice pop ballad and the girls killed it with their stellar vocals. It tells a story about being in love with someone but not being able to show the world because they are with someone else. No matter how hard you want to scream your love from the rooftops, all you have is the secret love song. It’s hard to open up your heart to others. No one wants to get heartbroken, or feel like their feelings were for nothing. Nowadays you are most likely going to find people closed off to emotions then not. Well there ya have it guys! My eleventh Spotlight Saturday post! Thanks again Josie for letting me join in on the fun. Tell me what you guys want to put a spotlight on, I would love to know! This entry was posted in Spotlight Saturday and tagged Misc., Morgan Rhodes, November, Spotlight Saturday, Young Adult. Bookmark the permalink. I love Jess’s discussion post about that too! Yes most definitely updates coming soon! I really don’t like books that the covers have people on them. I find the covers so unappealing! I tend to just get an e-book of those books if I know I really want to read it. That way I still can enjoy the book, but I’m not spending more money on an ugly book cover I don’t like. lol. My life is mostly boring and mundane as well. Sometimes I like it that way, but probably because it’s been that way for so that that I’m just used to it now. Haha. I didn’t finish my sentence in my last comment, please please, pick up An Ember In The Ashes !!! Trust me, you won’t regret it !